One of the Top Free Downloads in the App Store is the “Vuvuzela 2010” application! Want to feel the atmosphere of the South African stadium hosting the 2010 FIFA World Cup? Then turn the iPhone into the classic South African plastic horn, and let the humming begin! The unique quality to the 2010 World Cup has been the droning of a thousand swarms of bees that any soccer fan can hear vibrating their television and surround sound speakers. The cause of the noise is not a killer bee invasion, but rather the South Africa age-old football camaraderie of the Vuvuzela. The Vuvuzela is a long plastic horn that South Africans invoke to cheer on their favorite football teams. 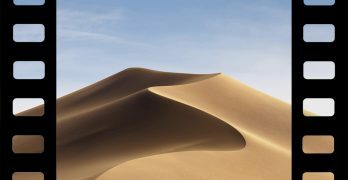 The free “Vuvuzela 2010” App allows for anyone with an iPhone, or iPod Touch, to either appear zealous in watching the great Ivory Coast games, or just plain annoying as the extremely authentic sounding application literally makes the device spit out the loud droning bee swarm sound. Disturb friends and family alike with a portable Vuvuzela occasionally blasting fun that will echo in living rooms and bars, like a form of water torture. The “Vuvuzela 2010” App has been created for the die-hard football fans in mind. There are a number of color combinations to choose from before sounding the horn, and they represent either the team or the goalkeepers’ colors. 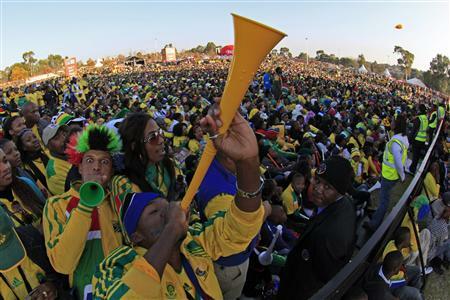 Choose the appearance of the Vuvuzela, just like the fans in South Africa and let the sound fly! Vuvuzela is the epitome of enjoyable World Cup. It’s almost unbearable if like me you have every game on in the background. Yes, I’m European football/soccer is big here.